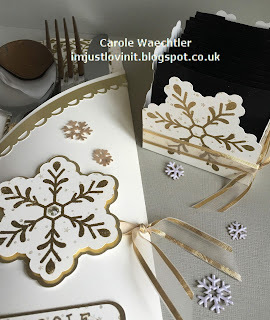 I can't tell you how much fun I've been having recently, I've been busy teaching the Silhouette Studio software to some lovely ladies on a one to one basis and I've been teaching Parchment craft, as a stand-in tutor, after many years of not doing Parchment, so had to practice! I'll share some of the projects we made for the Parchment class over the next few days. Today I've been working on some Christmas projects. 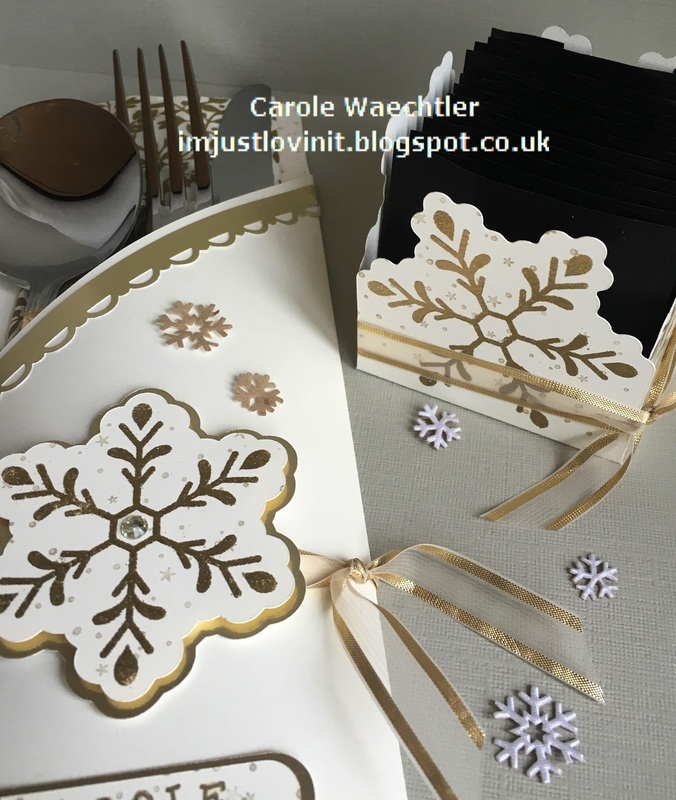 I know it seems odd but I've been booked to teach a 'Christmas paper crafting projects' workshop early December and needed to do a write-up and they needed a picture of an example of what we might make. One of my favourite things to do is to adapt my Silhouette files to make them fit my needs. I adapted an envelope file to make the cutlery holder and the treat box file was adapted to fit my Stampin' Up rubber stamp! Hope you like them. Happy Silhouetting to you all.